The Office of the Special Prosecutor in Iceland has charged the Board of Directors of SPRON, the country’s largest Savings Banks, which collapsed during the economic meltdown in 2008, with breach of trust. 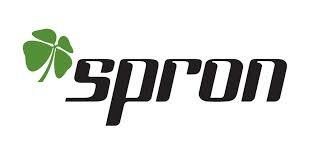 The OSP says that the Board of Directors of SPRON should never have loaned Exista 2 billion IKR only a forthnight before the collapse in light of the situation in Iceland at that time and that they breached the trust of the stake holders by agreeing the loan without guarantees. The loan had also been much higher than the Savings Bank could afford. The OSP also points out that it was highly unusual for the Board of Directors to agree such a loan and that it was the only loan they took up at their meeting and agreed for over two years. Four of the five members of the Board of Directors of SPRON are charged by the OSP: Margret Gudmundsdottir, CEO of Icepharma; Rannveig Rist, CEO of Rio Tinto Alcan; Johann Asgeir Baldurs, advisor at Expectus; and Ari Bergmann Einarsson, investor. Questions have been raised about whether Margret Gudmundsdottir of Icepharma and Rannveig Rist of Rio Tinto Alcan , should step aside from their posts in light of the charges, but both say they will not do so.